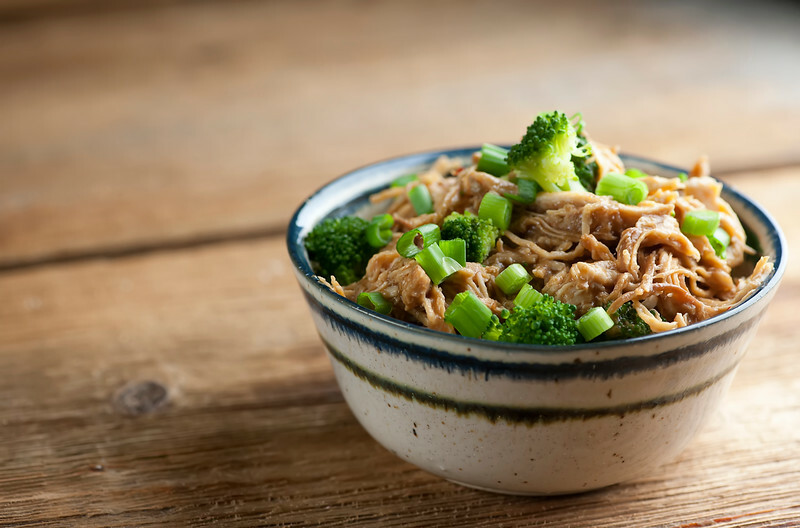 This easy recipe for slow cooker bourbon chicken and broccoli will liven up your usual chicken dinner. Find that Crock-Pot and sass up your supper! I do love a good slow cooker recipe, and a good slow cooker recipe that involves bourbon is guaranteed to make the Southern husband’s eyes light up. 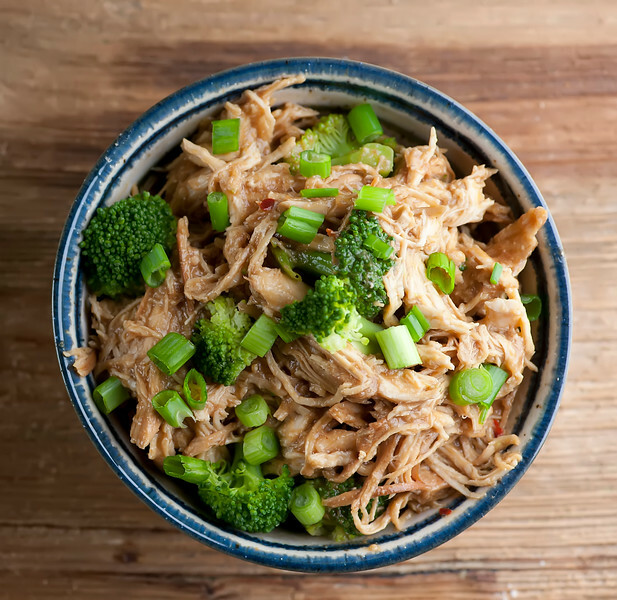 This particular recipe for slow cooker bourbon chicken and broccoli takes those two perfectly innocent ingredients and zings them up with a slightly BBQ-like sauce. The chicken is going to slowly cook all day long to tender, shreddable perfection in that sauce, and then you are going to toss in some broccoli because we need our green veggies. And then everyone at your supper table is going to sigh with happiness. Ready for some slow cooker fun? Let’s make it! Now, most of my slow cooker recipes are what I elegantly refer to as “dump, cook and serve,” meaning that is the sum total of all the steps involved. This one has two more steps, but I promise they are Worth It. Once the chicken has cooked up to glorious bourbon-y deliciousness, you are going to scoop it out and shred it. Because there is nothing quite so comfort food-ish as shredded chicken, and all those shreds are going to soak up the sauce. And speaking of the sauce, I like to thicken it up just a tad by pouring it into a large pot with a cornstarch slurry and simmering it for a few minutes. Then add in your chicken and some steamed broccoli, stir the whole thing up and you have just created chicken dinner heaven. I call that a bowl of happiness, and/or once again, Winner, Winner, Chicken Dinner! Combine ginger, chili flakes, tomato sauce, vinegar, honey, water, Bourbon, soy sauce and cumin in a medium mixing bowl and whisk until combined. Place the chicken in a slow cooker and pour the Bourbon mixture over it. Cover and cook on low for 8 hours. Remove chicken and shred with two forks into bite-sized pieces. Pour the sauce from the slow cooker into a large pot. Whisk the cornstarch with 3 tablespoons of water, add to the sauce and bring to a simmer over medium heat. Simmer until slightly thickened. Add the shredded chicken and the steamed broccoli to the sauce and stir until coated and heated through. Serve, topped with chopped scallions. I’ll second the winner-winner-chicken-dinner with this one! It looks wonderful! We just need a big platter of rice to plop this on top and maybe some chopped toasted almonds for a bit of salty crunch. Woo hoo! Going in my crockpot soon! I am very into cauliflower rice these days! And I’m all in on the almond idea!